The remote-control system by Campana Forni can help the work and the management of every production line. It is a special integration of hardware and software, that gives the chance to control from remote all the machines, allowing to start and end cycles, trace the performances and the potential alerts and much more. This is possible through a complex project that we develop, build and assembly directly in the client machines. This system can significantly improve the work and the everyday life of every kind of production site, both from the machines performances that from the operators work point of view. The hardware part of this system is made up by a series of sensors placed in every machine, that live transmits the information to a cabin that collects and records them. The cabin, that is the hardware, and the software are composed by a Plc – Program Logic Controller – and an Hmi – Human Machine Interface. The Hmi is the instrument through which the operator can control and act on the machines, and consists in a touch screen with all the options available. The system is protected by a password and it is possible to create different security levels. If any anomaly occurs, the system provides an alarm with an acoustic signal and, if it is configurated, an SMS or e-mail will be sent. If the operator is not able to take an action, by remote the responsible or the maintenance supervisor can evaluate the alarm condition and, if the machine is in critical issue, he can stop the cycle. In this way not only the safety of the production line is guaranteed, but it is also possible to have a real-time feedback on what is going on. Our system is completely customizable, in order to control and manage every detail of the production line. It is possible to have a report at the end of every production cycle, or at regular intervals, with all the parameters, the recorded alerts and the actions made by the operator. Trend diagrams are also available to have an immediate view of the results. We don’t just take care of realizing the system. We go forward in order to offer to our clients a complete service, so that all they need to do is push the button and let the system do the rest. Our work includes a training to the operators that have to use the system, in order to assure the best performances. We also release a user guide, specific for every machine. 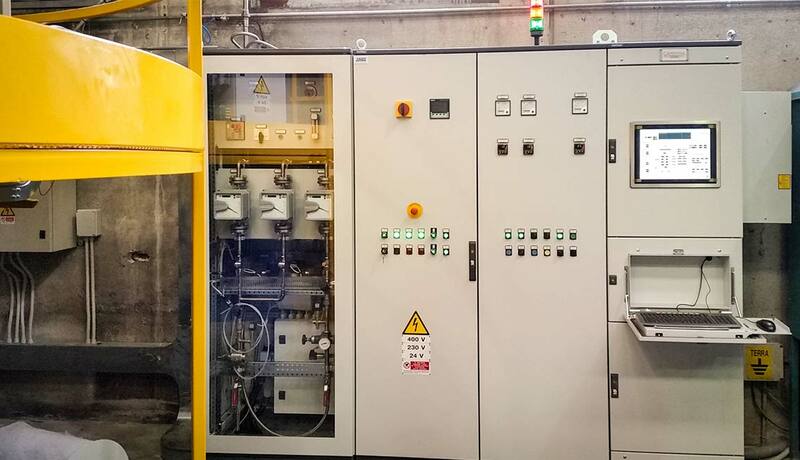 We will be in-site for the first start, to check the correct functioning and support the operators, and we will be available for help and to find the correct cycles parameters.